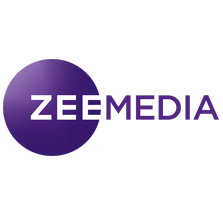 Zee Media Corporation Limited (ZMCL) (BSE: 532794, NSE:ZEEMEDIA) reported consolidated revenues of Rs 1,942.2 mn for third quarter of fiscal 2019. The Network incurred expenditure of Rs 1,362.3 mn during the quarter. The Board of Directors, in its meeting, approved and took on record the financial results of ZMCL for the third quarter ended December 31, 2018. Operating revenue grew by 22.7% to Rs 1,942.2 mn in Q3FY19 from Rs 1,583.0 mn in Q3FY18. In 9MFY19, operating revenue grew by 30.3% to Rs 5,175.7 mn from Rs 3,972.6 mn in 9MFY18. Operating Expenditure in Q3FY19 grew by 21.3% to Rs 1,362.3 mn from Rs 1,122.7 mn in Q3FY18. The increase in expenditure YoY has been mainly contributed by three new channels launched during last year viz. Zee Salaam, Zee 24 Kalak and Zee Uttar Pradesh Uttarakhand. EBITDA for Q3FY19 grew by 26% to Rs 579.9 mn from Rs 460.3 mn for the corresponding period last financial year. EBITDA Margin grew from 29.1% in Q3FY18 to 29.9% in Q3FY19. Zee News provided a different view of the state assembly elections held during the quarter through Kavi Yuddh, a poetic debate on relevant issues, in Rajasthan and Madhya Pradesh. The channel also organised multi city Abki Baar Kiski Sarkar debates to highlight different perspectives on which parties should win and why. Zee Business continued with its drive to recognize and highlight the stories of the foundation stones of the Indian economy, the SMEs. The channel honoured the SMEs that have made it big through Dare to Dream Awards, a seven-city series which culminated with the finale event held in New Delhi. The channel continued to bring the flavour of Durga Puja from across Kolkata to viewers' homes through its Mahapujo initiative, which awards the best pandals in Kolkata under various categories. The awards were presided over by celebrities, such as Paoli Dam, Arindam Sil, Sauraseni Maitra, Sohini Sarkar, who visited more than 50 pandals across the city to identify the winners. To promote the cultural heritage of West Bengal, the channel also provided extensive coverage of the pandals of lesser known but very important festivals - Shakti Aradhana (Kali Puja) & Jagadhatri Pujo - which are celebrated with a lot of fervour in Rest of West Bengal outside Kolkata. To further brighten up the Diwali festival for the Marathi viewers, the channel organised Utsav Prakashacha (music, dance, drama) and Utsav Vinodacha (stand-up comedy), which brought together the biggest entertainers of the Marathi genre. The channel also instituted several new awards to recognize the achievers across categories – Arogya Sanman (Medicine), Atal Sanman (multiple disciplines), and Navonmesh Sanman (Positive Change). Zee Madhya Pradesh Chhattisgarh, through its relevant and engaging content, continued its dominance in the market with 35.6% share. (Source: BARC, NCCS 15+, MPCG, 1st Oct – 31st Dec 2018, 06:00-24:00 hrs, 6 channels, Share based on Impressions). During the quarter, the channel focused on providing comprehensive, detailed, and analytical coverage of Madhya Pradesh and Chhattisgarh state assembly elections. As part of its coverage, the channel organised MP ki Mahabharat and Chhattisgarh ki Mahabharat, which invited key personalities from the opposing parties for a face to face interaction and to discuss the burning issues of the states. The channel organised Haryana Varta and Youth Varta to discuss the general developments as well as initiatives taken for the youth in the state on the completion of four years of the current dispensation. To gauge the political sentiments and strategies on the state assembly elections, the channel organised Rajasthan Conclave with leaders from all parties. To gauge the on-ground sentiments of the people and to connect them with the leaders, the channel organised Chunav Vimarsh, a series of discussions and debates across Rajasthan. To facilitate the development of one of the most important tourism destinations of region, the channel organised Agra ke Vikas ki Baat, a platform where politicians from different parties shared their views and suggestions on the topic.